This page started out as a blog, but has become the place where I post some of the articles I've written for Magic magazine. Since there's no real name for that, I'll keep calling it a blog. by Chris Philpott (published in Magic Magazine February 2016). –the conclusion of John Lovick’s cover story on Jon Armstrong, Genii, December, 2004. 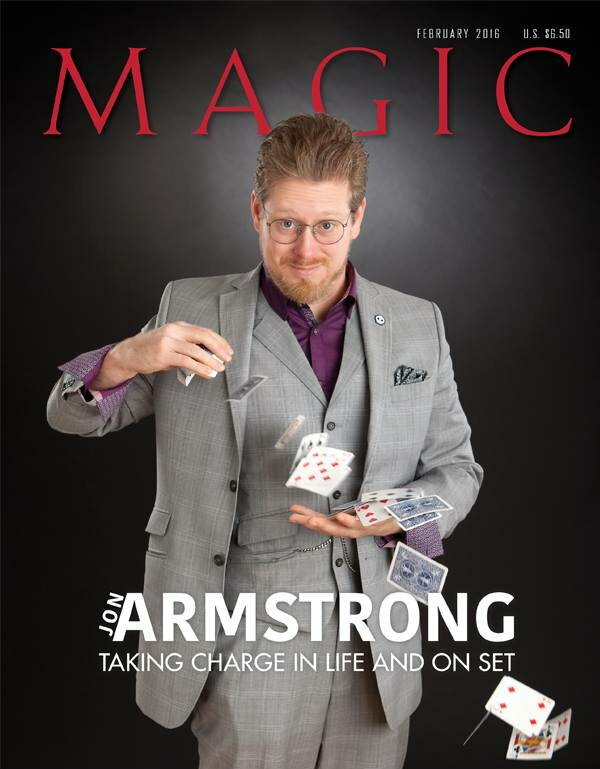 In Marcie Hume’s wonderful upcoming documentary Magicians: Life in the Impossible, Jon Armstrong goes through a list of his youthful dreams: “I’ve accomplished every one of my goals.” He’s won the Academy of Magical Arts Close Up Magician of the Year and been elected Chairman of the Academy Board of Trustees; he’s even published a comic book. But he doesn’t look happy. He’s sitting on a bed in a Motel Six on a long lecture tour. His marriage has fallen apart, his health is worsening and he’s fat. by Chris Philpott (published in Magic Magazine February 2014). I’m watching Steve Valentine give a lecture to the junior members of the Magic Castle in Los Angeles. 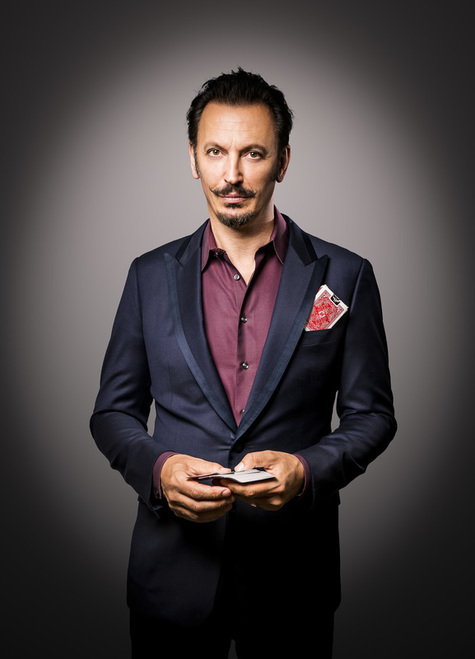 He’s funny, charming and incredibly informative – he peppers the lecture with references to great magicians of the past: Cy Endfield, Nate Leipzig, Ross Bertram, Paul Rosini, Stanley Collins and many more. It’s wonderful to see these kids, some of the best and brightest of the generation raised on Dan and Dave and one-trick DVDs, getting absolutely fried by 80-year old moves. by Chris Philpott (published in Magic Magazine January 2012). 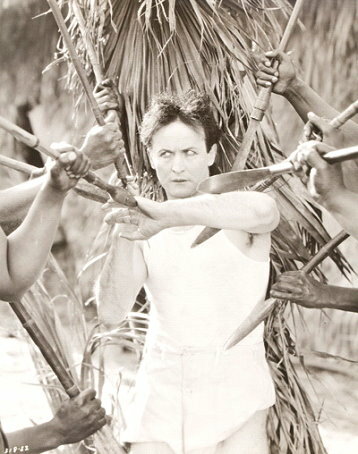 Houdini's movies are a fascinating but neglected part of his legacy. As I wrote in last month’s issue, now that most of the films are available on Netflix, these films are easier to see than ever and the chance to see him perform and soak up his persona makes a nice complement to reading about him. 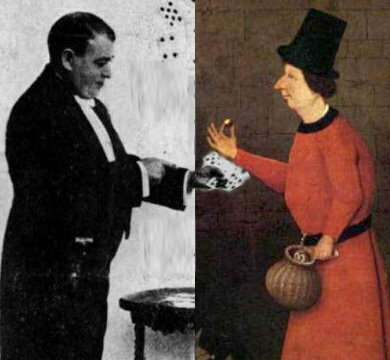 I have a question: is there such a thing as a tradition of magic we might call "serious" or "high art" and if so, what is it? In most arts there is a traditional distinction between high art and popular art. Some examples: ballet vs. tap, symphonies vs. folk songs, literature vs. pulp fiction and comic books. 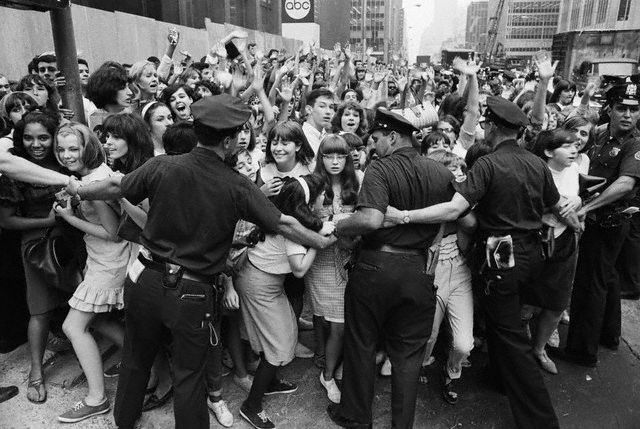 While it was never an ironclad separation (for example, Shakespeare is both) the distinction is less popular now than ever. It reeks of elitism: the distinction was often used by the rich and educated classes to prove their superiority to the masses. Not that these works often weren't better, it's just that to the elite their superiority was self-evident -- even if they didn't know the first thing about music, they felt better about themselves by going to the opera. Cinema, being born as the old class system was falling apart, never really bought the notion that that "high art" equaled "good art". Most cineastes revere Hollywood directors like Hitchcock and Scorsese right along side the giants of art film like Bergman and Kiarostami. But today, in cinema, the two traditions seem more muddled than ever. A director like Christopher Nolan can go back and forth between "arty" material like backwards narrative (Memento), dark psychological portraits (Insomnia) or dreams within dreams within dreams (Inception) to comic books (Batman) and no one thinks it's unusual. One evening, a little less than a year ago, I was flicking through the channels and came across Josef Von Sternberg’s 1934 masterpiece, The Scarlet Empress starring Marlene Dietrich. I hadn’t seen it since university but I got the same rush, the same thrill at watching all those crazy, overblown images. Wow. Just wow. My younger daughter asked me to do a magic show for her 12th birthday party – that’s pretty normal – she’s asked for a magic show most years that I remember. A couple days before the show I was having chili burgers with a friend who’s a professional magician and he warned me that 12 is a tough age – it’s about the time that kids start to think they’re too old for magic shows. This reminded me of the shows I had done for my older daughter at about that age – one year her friends were falling over themselves with enthusiasm and the next they were so reserved. I figured it was me. Well, it was, but it wasn’t just me. Click here for blog posts from 2010-2011. ©Chris Philpott 2010-2018. All rights reserved. Original designs and content by Kathleen Breedyk and Chris Philpott.